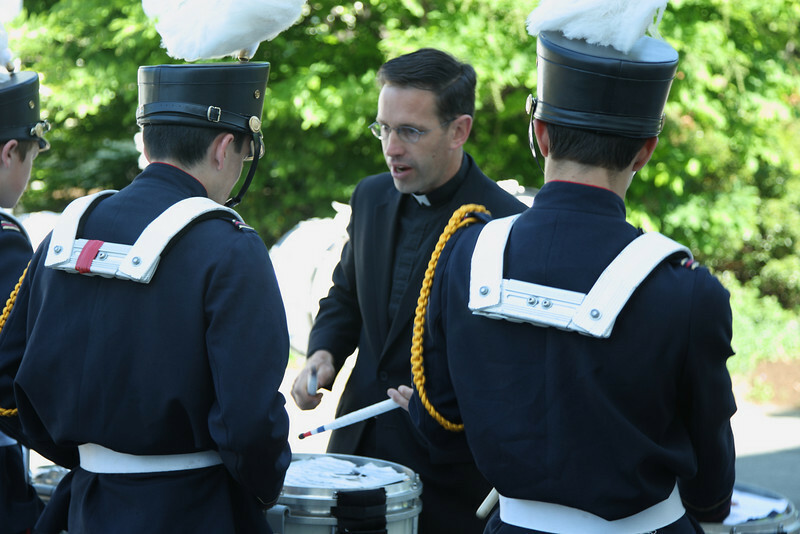 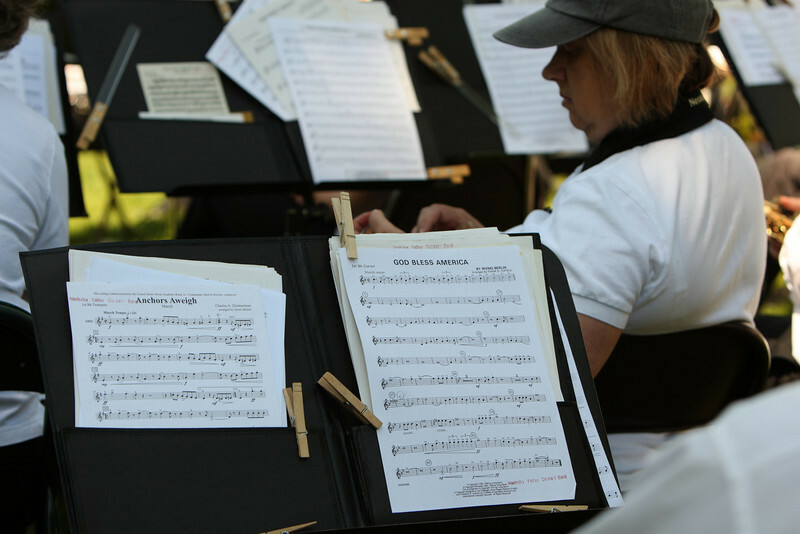 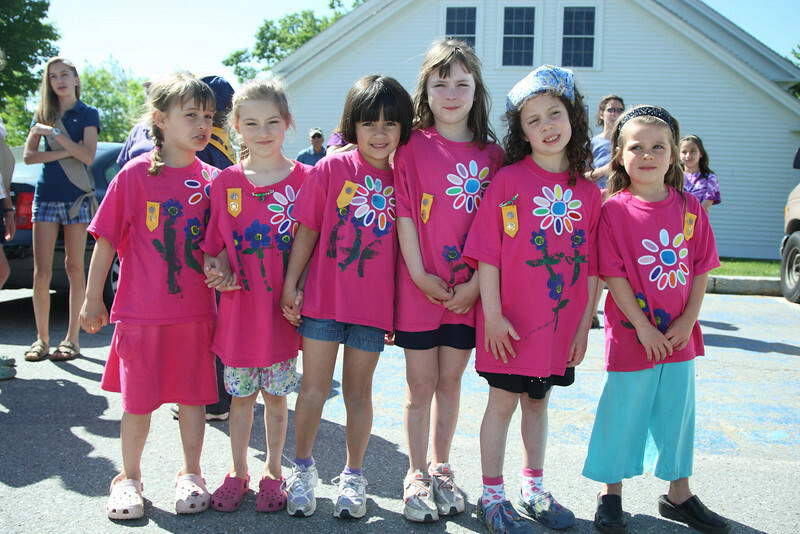 The Immaculate Heart of Mary School Band of Still River directed by Father Peter Mary. 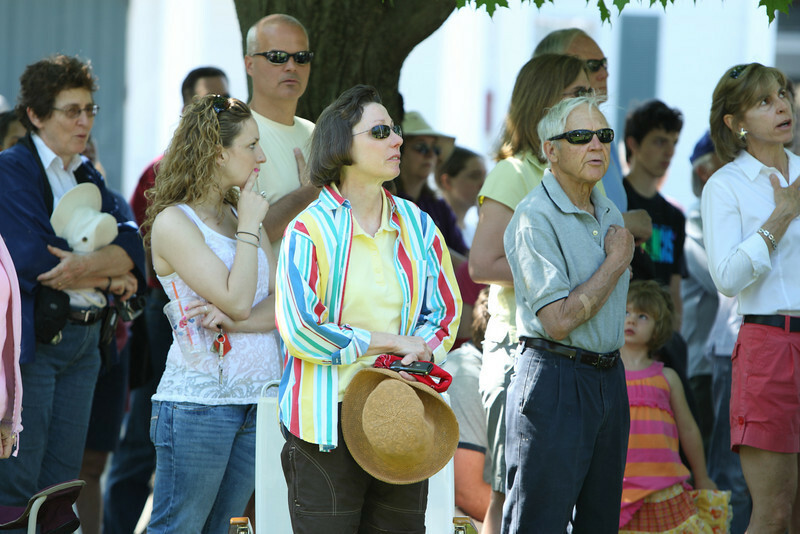 Duanne Barber, Peter Johnson, and Peter Von Loeseke discuss the parade before it begins. 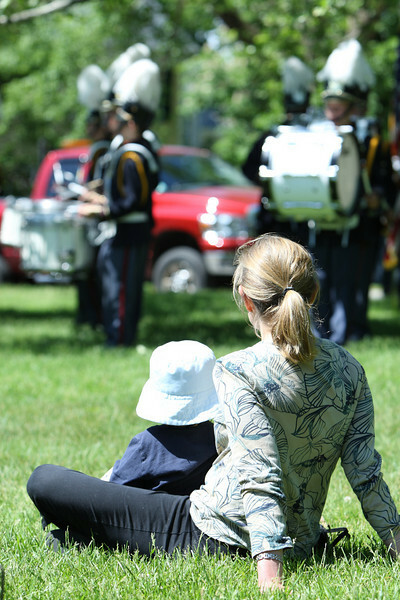 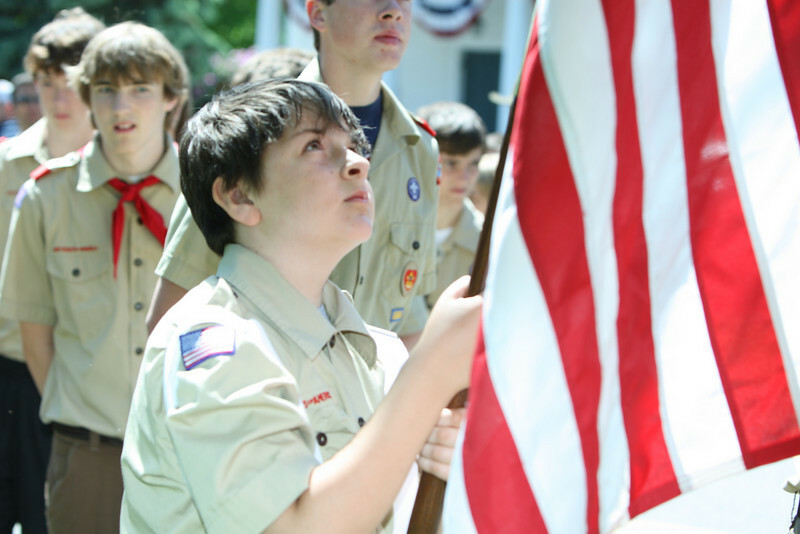 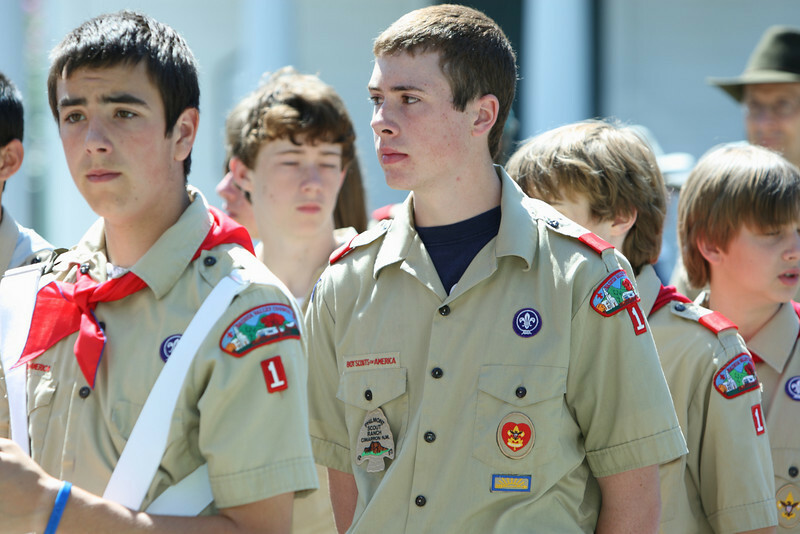 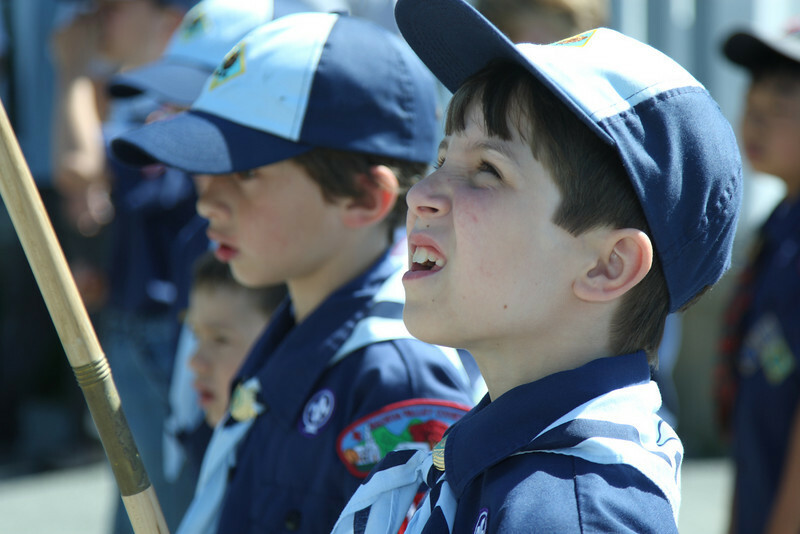 Dylan Molnar looks up at his flag as he waits to march in the Memorial Day Parade. 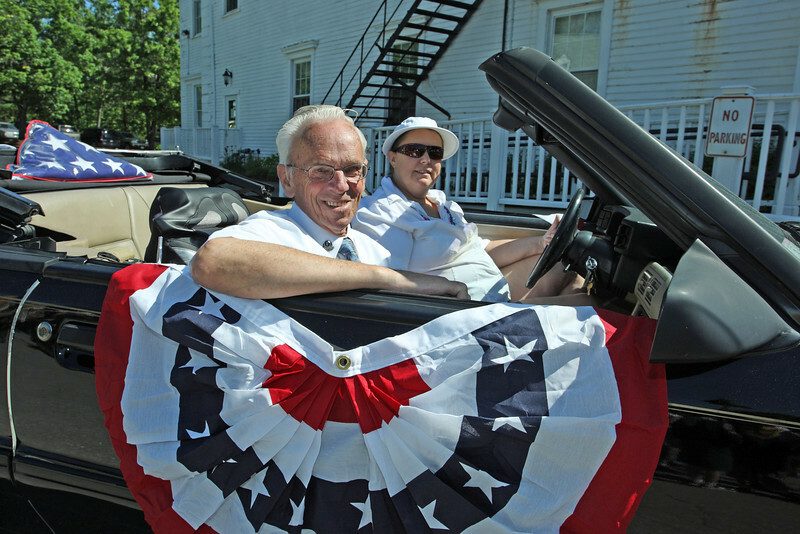 Veteran Amedee Bourgeois and his daughter Jeannie roll through the parade in style. 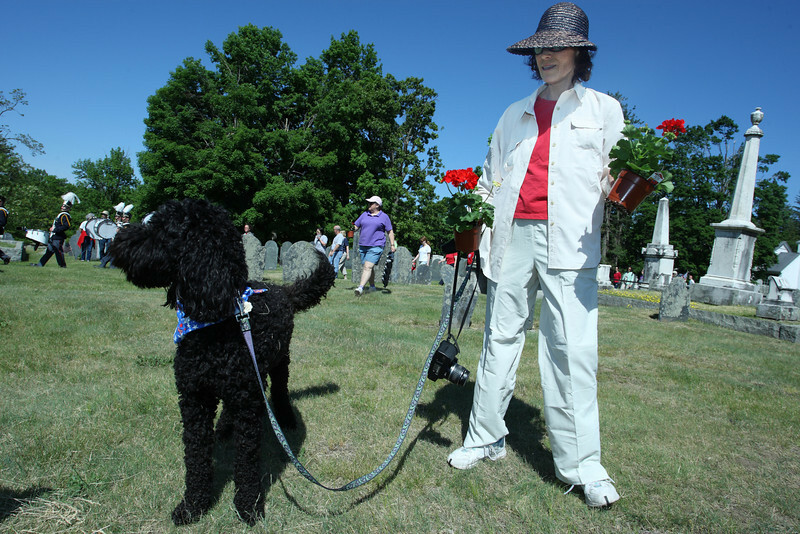 All dressed up and ready to go: Winston the goldendoodle and owner Julie Sniffen prepare to deliver geraniums to the graves of veterans. 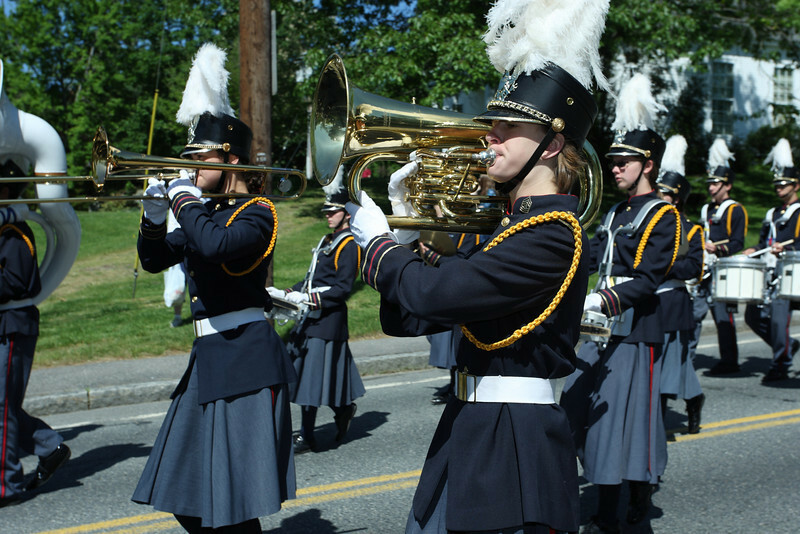 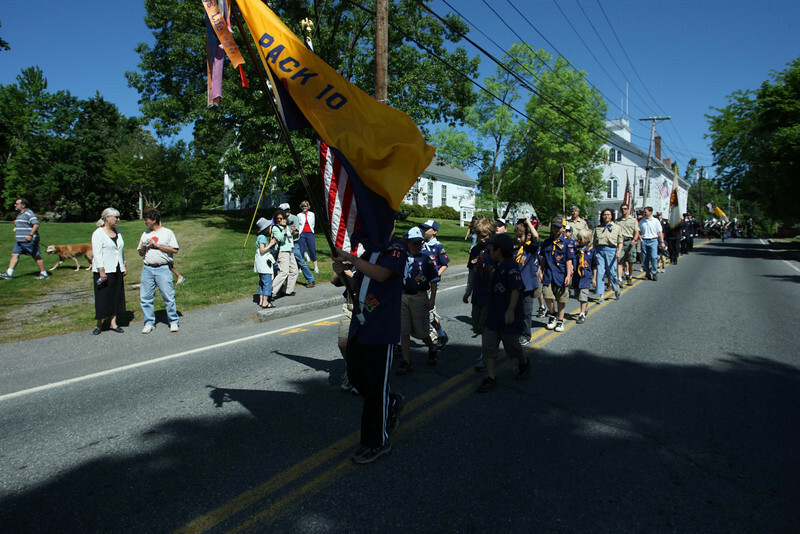 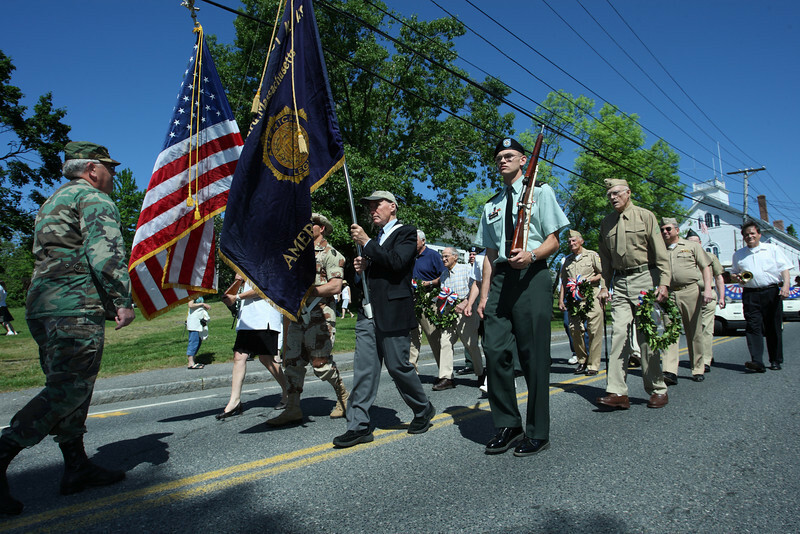 Jack Guswa holds a wreath during the Memorial Day parade. 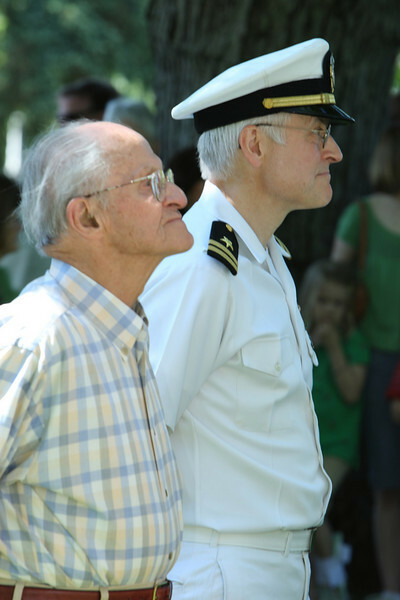 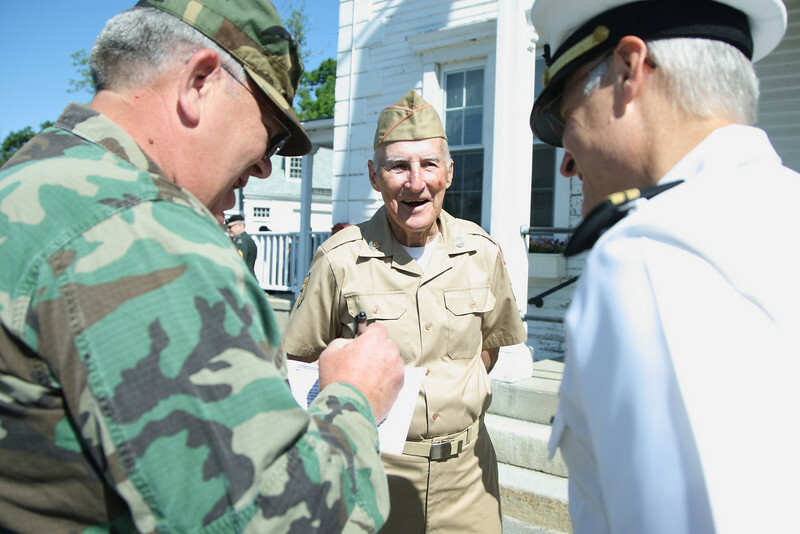 Paul von Loeseke and his son Peter von Loeseke represent two generations of service in the Memorial Day Parade. 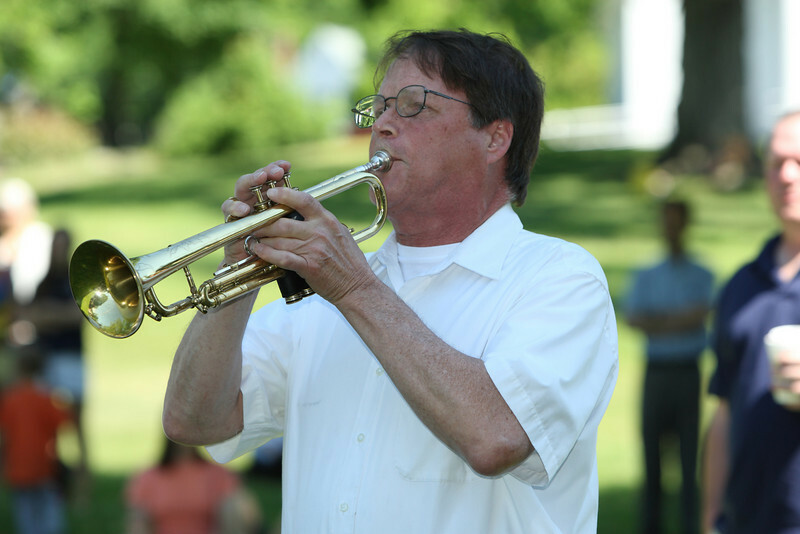 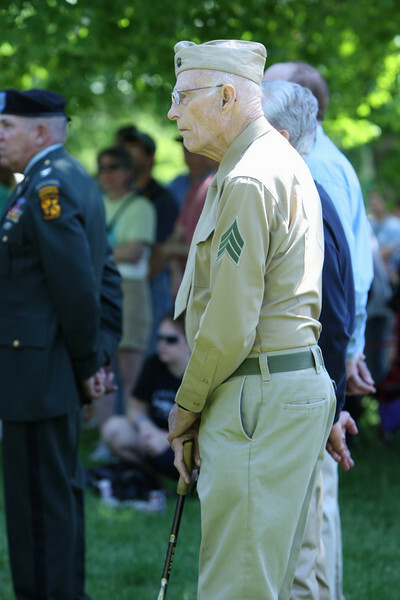 Bill Doe listens to the Memorial Day speech by Peter von Loeseke. 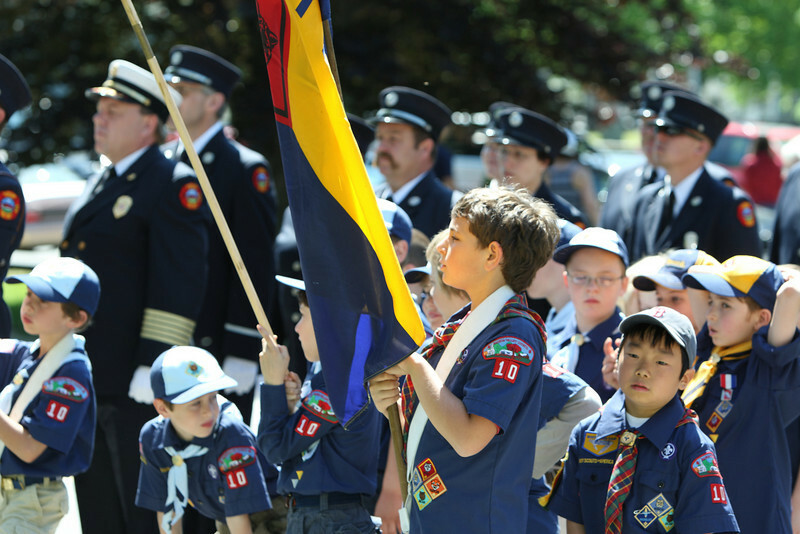 Cub scouts and fire fighters listen to the Memorial Day address. 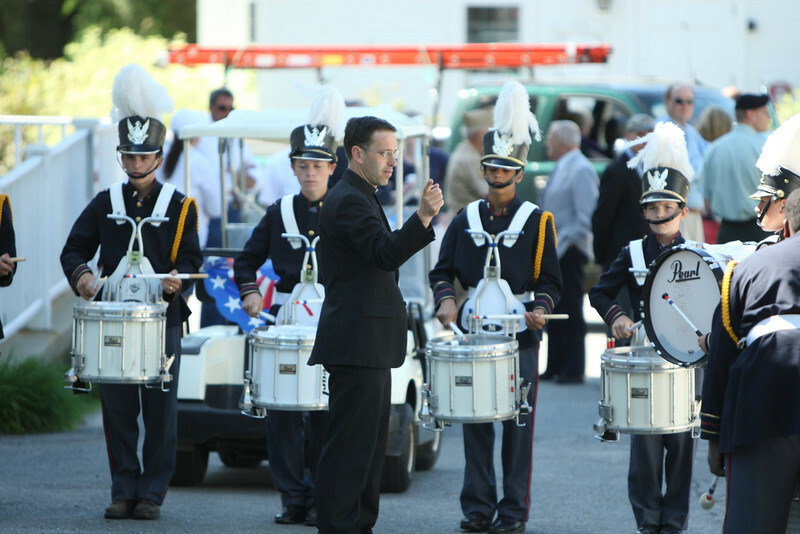 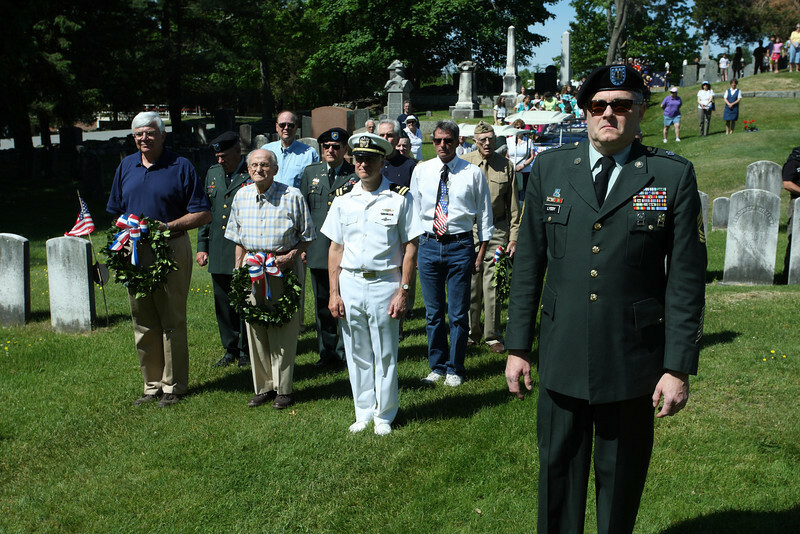 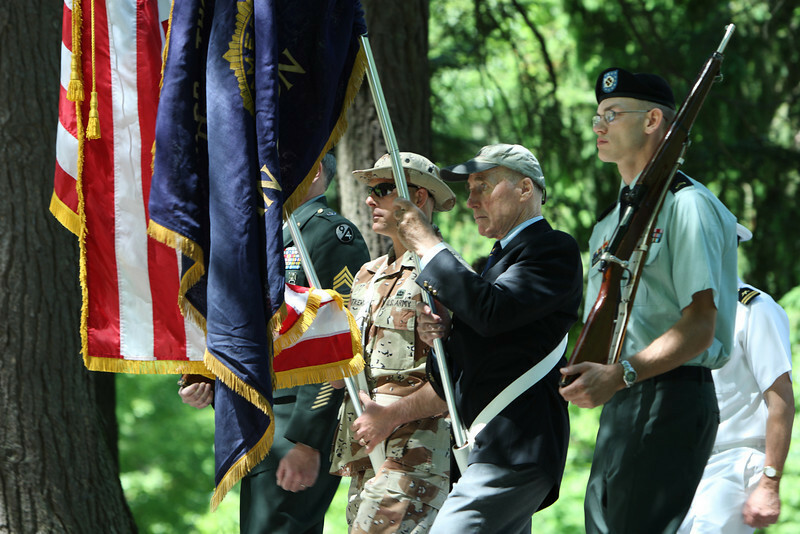 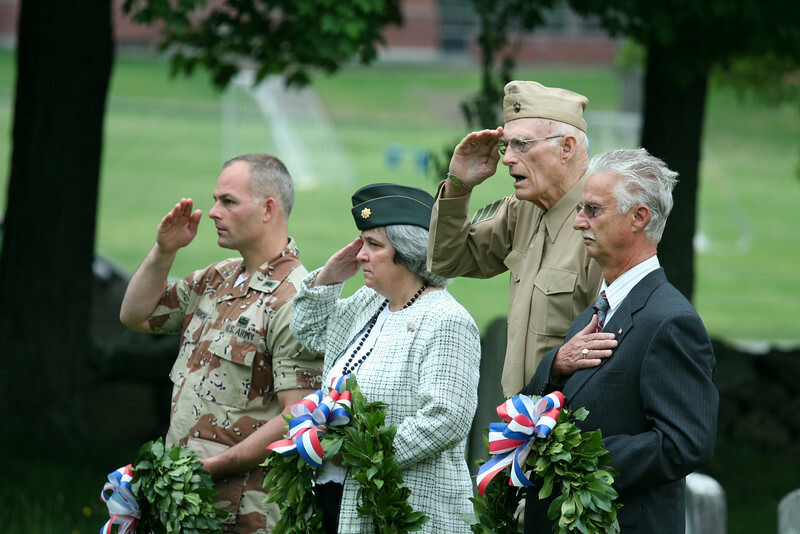 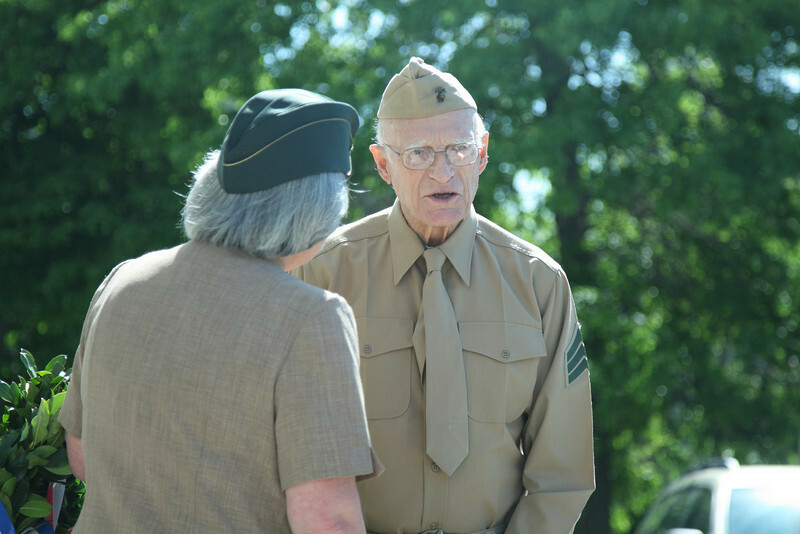 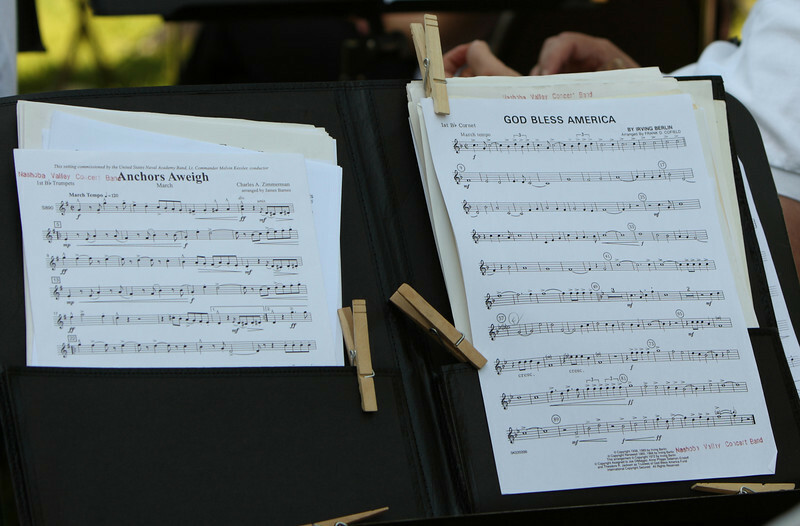 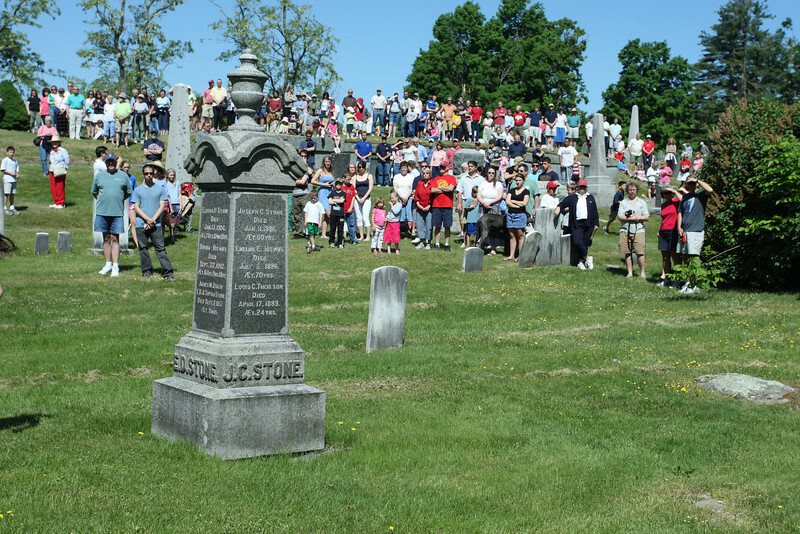 From left: Oleh Dutkewych, Fred Hincliffe, and John McClure lead the Memorial Day Parade through Bellevue Cemetary. 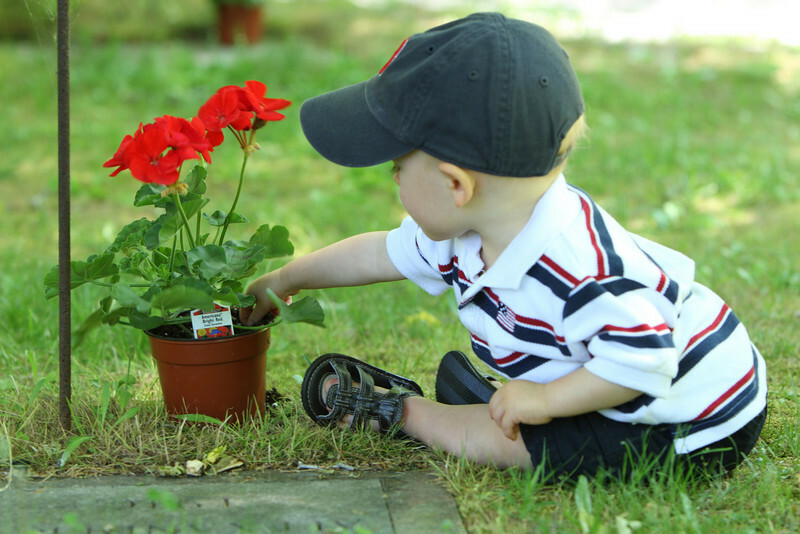 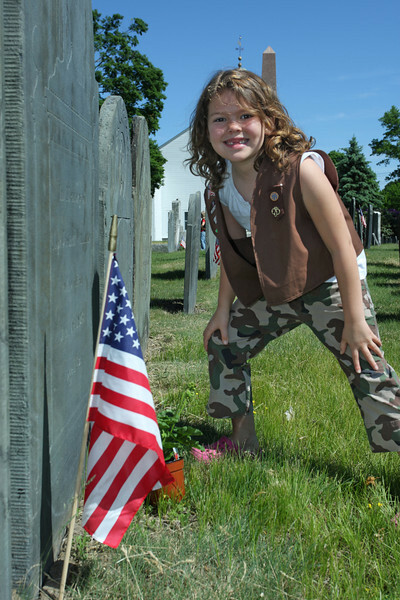 One-year old Dylan Gibbons helps out with placing geraniums on veterans' graves. 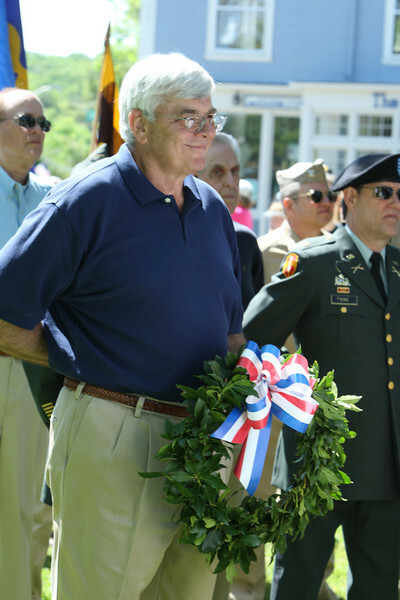 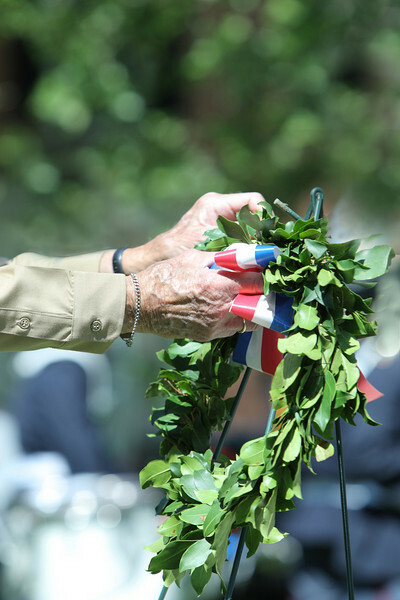 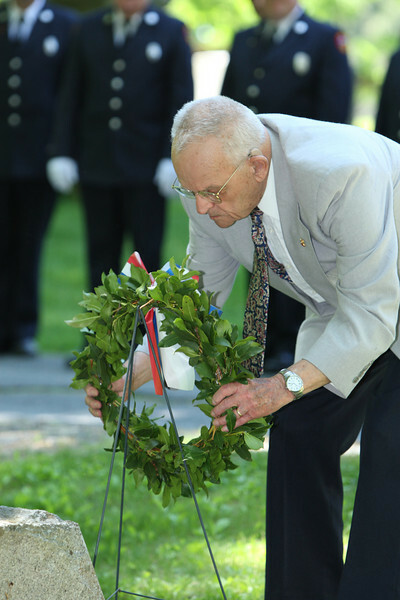 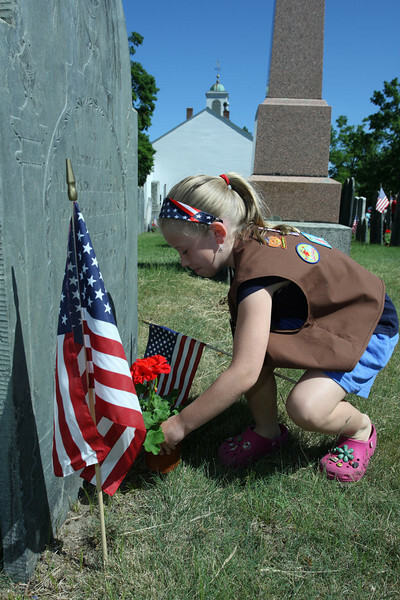 Roland Martineau places a wreath at Bellevue Cemetary during Memorial Day activities.